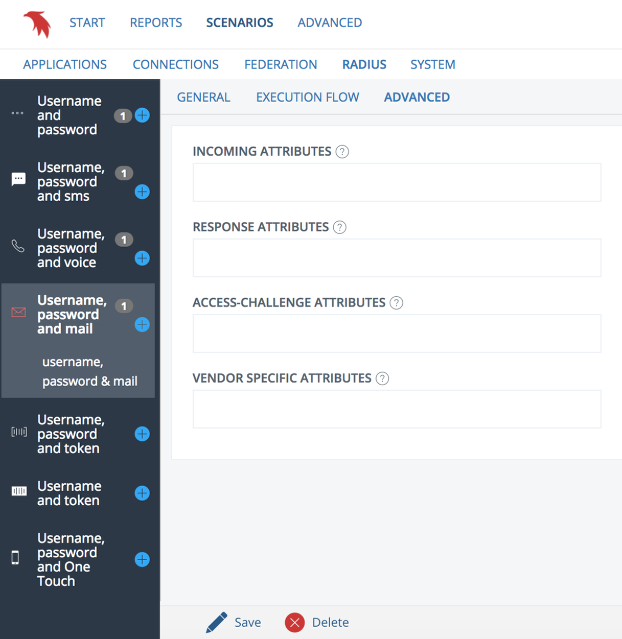 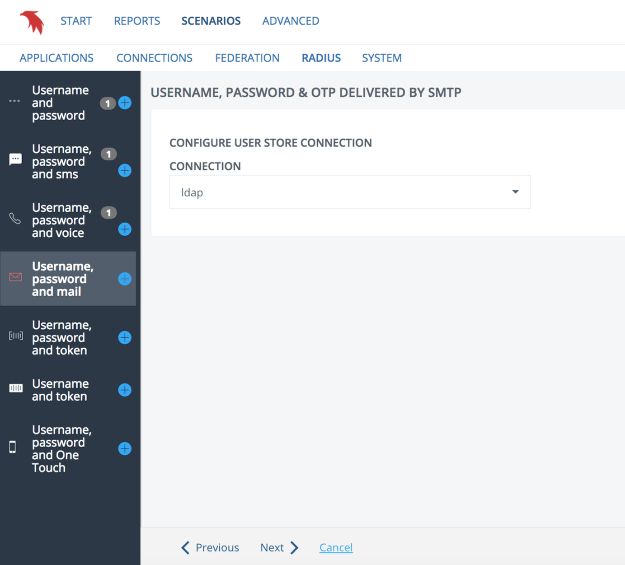 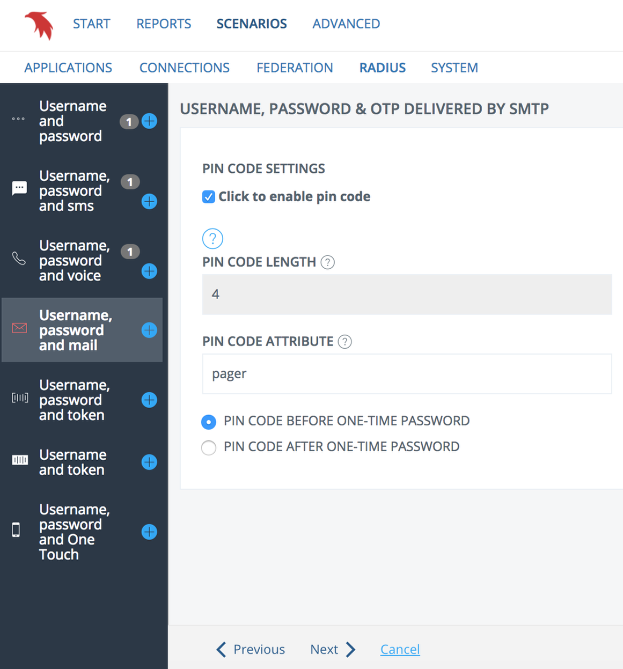 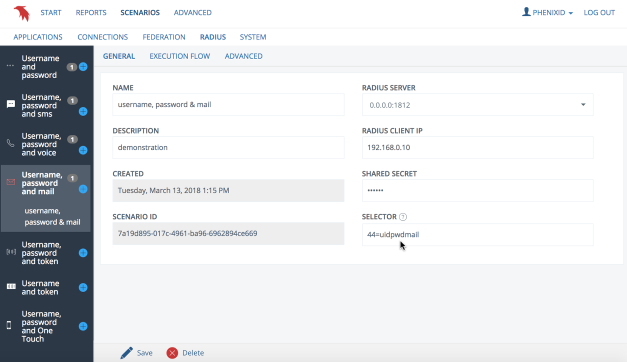 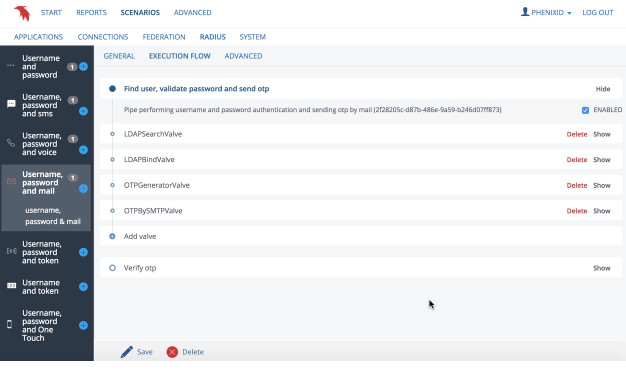 Performing this scenario will produce a RADIUS username, password and OTP sent by SMTP using either Active Directory, LDAP or SQL database as the primary user store. 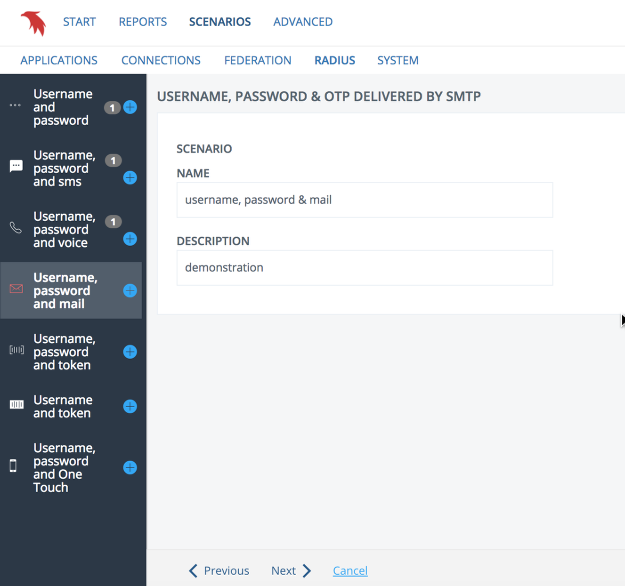 Select existing or create new SMTP configuration. To create a new SMTP configuration, follow the steps in the SMTP settings guide. 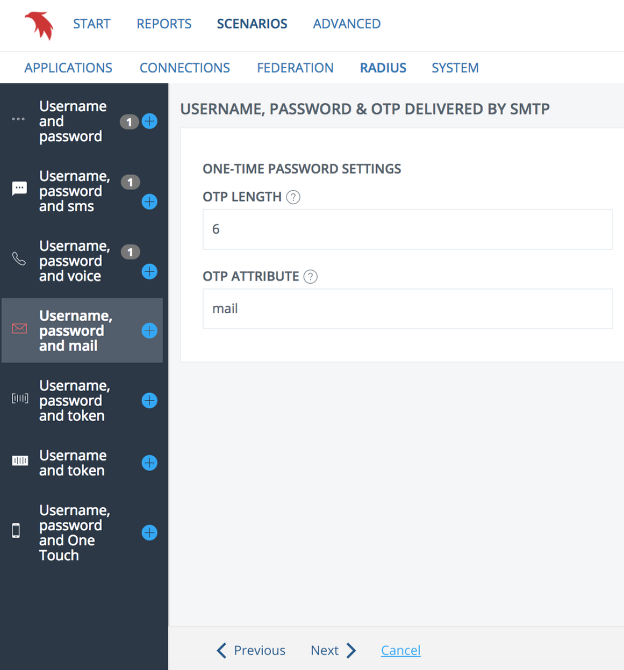 Specify the length of the OTP and the attribute containing the mail address where the mail should be sent.